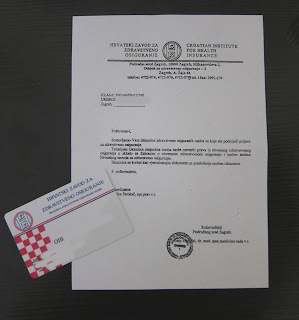 About 2 weeks after I joined the Croatian National Health Insurance (HZZO), a health insurance card is delivered to my address together with a letter. 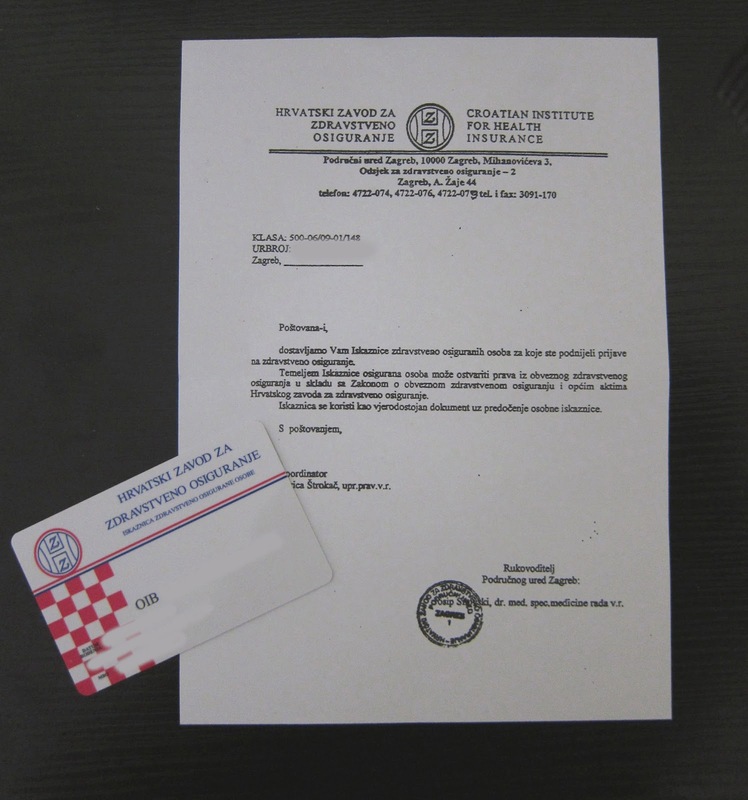 I've informed that until I obtain a permanent residence visa, which I will be able to apply after 5 years of holding the temporary residence permit, I have to pay fees directly to the HZZO's bank account. Hmmm, maybe as my mother-in-law told me, I should "voluntarily"pay the fee to the HZZO bank account. In any case, I should call them gain if I still don't receive the payment slip next month.